I have written and podcasted many times over the years about my love of California Zinfandel and Zin-lead field blends. The tradition of the field blend was brought to California by Italian immigrants over 100 years ago and some of the most individual expressions of this tradition are still bearing fruit in Sonoma’s Dry Creek Valley. The technique is simple, interplant a vineyard with Zinfandel, Petite Sirah, Carignane, Alicante Bouschet and other varieties, then harvest them at the same time and co-ferment. This tradition reaches its peak with Ridge’s Lytton Springs and Geyserville vineyards which has been chronicled here many times over the years. Finding distinctive Zinfandel for under $20 is difficult these days and almost everything under $10 does not display much of what makes this variety so special. Occasionally you will find something on close-out that falls within this price band but these are very few and far between. But négociants such as Cameron Hughes regularly bring us wines of distinction that overperform their price point, as is the case with this wine. Podcast listeners will remember Cameron Hughes from my interview on Winecast 73 seven years ago. Much has changed with his operation over the years but his brands are still as meaningful for wine lovers looking for a bargain. So when I found this wine — a Lodi Field blend of 56% Zinfandel, 17% Syrah, 16% Petite Sirah, and 10% Tempranillo — for $8.99 at my local Costco, I grabbed a bottle. Lodi has had a long history with Zinfandel dating back to the Gold Rush of the mid 19th Century. I’m sure field blending was also part of this tradition in the region but I’ve never tried any until now. And I don’t think the term “field blend” is regulated so it’s possible some back blending went on to create this wine, but it makes little difference to me since the traditional expression remains in the glass. 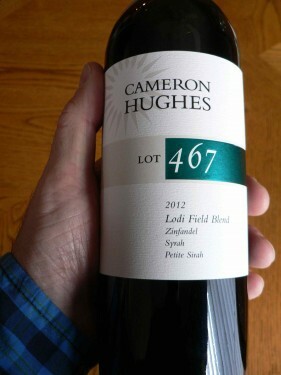 Cameron Hughes, Lot 467, Lodi Field Blend 2012 ($9) — Black/purple color with aromas of blackberry jam, fennel, chaparral and sage. Rich blackberry, blueberry and kirsch flavors with white pepper finishing with supple tannins. A bit boozy at the end but balanced currently by exuberant fruit. If you see this at your local Costco, buy it, as this one will not last long. My new go-to BBQ and pizza wine. The first post came two weeks early from Karla at Sol Wine & Film. An overview of the Curtis Winery of Santa Ynez Valley in California, the subject fit the theme perfectly but somehow didn’t mention WBW. But Karla used the WBW hashtag so is included in this roundup. New entrant Rags, the Kenyan Wine Brat, posted his video review of CrossRoads Winery Syrah from Texas. While he is no Gary V, his use of “refrigerator smell” to describe the Syrah near the beginning made me think of the famous New York Jets fan. Nice start, man; looking forward to more! Next up was Lisa from Wine Muse posting a review of a 2009 Rutherglen Estates “Shelley’s Block” Marsanne Viognier from her native Australia. Made from 70% Marsanne and 30% Viognier, the wine sounds wonderful and a great value at $15AUS. Joe the Suburban Wino posted a long and somewhat rambling post about Rhône styled wines that begins with a rant about how difficult the circumflex over the “o” in Rhône is but then uses that word about a hundred times. No review here but there is some serious Rhône knowledge thrown down within Joe’s hilarious rant prose. Another video review was posted by Aleksi who selected two wines for his tasting. The first is the Bellingham, The Bernard Series, Grenache Blanc Viognier (no vintage mentioned) which proved to be an interesting wine despite some metallic flavors. His second selection seemed more successful, 2006 Spinifex “Papillon”, a red blend made from Carignan, Cinsault and Granache. Next up was Bob from 2001 Bottles – A Wine Odyssey with a 2006 Church & State “Coyote Bowl” Syrah from British Columbia’s Okanagan Valley. It’s not surprising to me that such a nice Syrah could come from Canada as most of the best examples of this variety come from cooler sites. Also tasted was 2009 Twisted Tree Rousanne/Marsanne which was also a winner. Richard, The Passionate Foodie and next month’s WBW host, tasted a 2007 Sutton Cellars Carignane “Piferro Vineyard” and found it to be an, “easy drinking wine, but with appealing character, and would be an perfect pairing with burgers, pizza, or even pasta.” Count me in to pick up some of this to try soon. First time WBW participant Jason from The Ancient Fire Wine Blog was next with a 2007 Penfolds Bin 138 GMS blend. Made from Grenache, Mourvedre and Shiraz, the wine proved to be, “assertive, but not abusive.” Hope to see you next time, Jason! The VA Wine Diva was next with a trio of Rhone-styled wines from Virginia. The first was a 2009 Veritas Vineyards Viognier which was overall a nice wine marred a bit on the finish with a touch of heat. This was followed up by an earthy and leathery 2005 Ingleside Vineyards Syrah. The tasting was capped off with a 2008 Pollak Vineyards “Mille Fleurs” fortified Viognier dessert wine. Andrew from Spittoon, the bloke who got me first into WBW back when he hosted, was next with a 2009 See Saw Shiraz-Mourvèdre. Although information about the wine was hard to come by, it proved to be a winner for under £9. Matt posted next over at A Good Time With Wine tasting a 2007 Liberty School Cuvee, a blend of Syrah, Petite Sirah, Grenache, Mourvèdre and Viognier. Although Matt prefers the leaner French style in his Syrah, he did like this California wine. Ryan from Catavino in Spain posted next tasting a 2006 Cellar Malondro red blend. A blend of 50% Garnacha and 50% Cariñena from D.O. Montsant, I recalled my trip to the region in 2007 which Ryan commemorated with an archive photo on the post. Next was Michael, The Wine Undertaker, who tasted a 2008 Sterling Vineyards Roussanne from Carneros. The wine was the first taste of Roussanne for him but will not be his last given how well this bottle performed. Colin from Grapefan passed along a tasting note on Adegga as he took a week long vow of no wine. The wine sounds like a winner, though, a 2006 Syrah from Napa Valley’s Hyde de Villaine. Frank from Drink What You Like posted another Virginia Viognier, this time from Jefferson Vineyards. From the 2009 vintage, the wine sounds very interesting and one Wine Blogger Conference attendees will no doubt taste as it’s made in Charlottesville, the site of the 2011 event. Next up was Sebastien at downcellar who posted a pair of Mourvèdre from the New and Old World. First was a meaty and dark Spice Route Mourvèdre from Swartland, South Africa. The Old World entry is a 2007 Juan Gil Monastrell from Jumilla, Spain. Both sound like excellent examples of Mourvèdre from outside The Rhône. My own entry was next, a tale of two Rhone-styled wines from California. In the end, the Steele “Writer’s Block” Roussanne delivered the goods for a steal of a closeout price. William from Simple Hedonisms was next with a review of Wesley Ashley “Intelligent Design Cuvee” Red Rhone Blend. The blend of Carignane, Grenache, Cinsault, Petite Sirah and Mourvedre sounds outstanding. Andrea from Wine Skamp posted next with a review of 2008 Santo Cristo Garnacha, a decent sounding quaffer from Spain’s Campo de Borja. Megan was next from the Wannabe Wino blog with a review of a 2009 Hahn GSM blend which sounded like another winner from California. Rain followed next from Teach Us Wine with a cautionary tale to always check the seal on your bottle particularly if it’s a screw-cap. Her tale is full of fail but I’m sure she will come back strong next time. On Wine Blogging Thursday, WBW founder Lenn Thompson posted his entry; a well-chosen 2005 Doon Vineyards “Cigare Volant.” And it seemed worth the wait. And last, but certainly not least, the fabulous Thea posted her entry at Luscious Lushes, a tribute to winemaker Kevin Hamel. She pulled a bottle of 2002 Hamel Wines Syrah, Westside Hills from her cellar to share but also recounts experiences with the 2001 vintage and some other favorite Syrah’s. So that’s it. I count 25 bloggers and 28 wines tasted. Most of these were red but 8 whites were also reviewed. If I somehow missed your entry, please let me know in the comments and I will update this post. Thanks again to Lenn for letting me host once again. And without further ado, I pass the baton to Richard from The Passionate Foodie for a very special edition of Wine Blogging Wednesday next month. Outside here in Minnesota it’s in the mid 20’s Fahrenheit with a thick snowpack. It is far from springtime here but a bit of spring can be had here inside a bottle of dry rosé. Every spring and summer I resolve to drink more rosé but for one reason or another rarely do. So I thought I would start a bit early this year even if it’s not seasonable outside yet. Rosé wines are a misunderstood lot here in the U.S. where most people think of them as off-dry or even full-on sweet “blush wines.” The most cliche of these is the white Zinfandel which is still a staple on many an American table. Dig a bit deeper in a good wine shop you will find several good dry rosé wines that pair well with food and deliver a unique flavor spectrum that is not quite white but clearly not as heavy as a red. The result is the perfect spring/summer wine; at least for me. Rosé has a long tradition in southern France. But the people behind this wine are relative newcomers. After leaving a career in advertising in Amsterdam, Lidewij van Wilgen moved her family to France’s Languedoc to start Mas Des Dames in 2002. The 18th century farmhouse that serves as the winery is surrounded by 14 hectares (35 acres) of vines mostly planted to Rhone varieties. Organic methods in the vineyard and traditional vinification techniques are used to make the wines. And based upon this rosé, I’m looking forward to tasting their other wines. 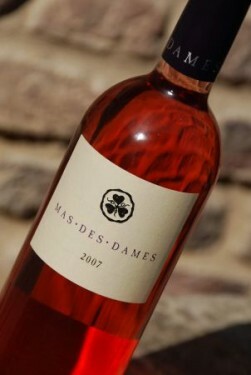 Mas Des Dames, Rosé, Coteaux Du Languedoc 2009 ($16) – A blend of 40% Grenache, 40% Mourvèdre, 20% Syrah. Clear salmon-ruby color with aromas of strawberry and citrus. Crisp grapefruit and strawberry flavors finishing bone dry with bracing acidity. Very refreshing and pairs very well with food. Only 500 cases produced. There are a ton of great wine values out in the market today but I’m always pleased to find wines that considerably outperform their price. And tonight I have such an example. As I’ve blogged recently, Syrah has been a tough sale here in the U.S. I think it’s due to a few factors that’s out of the control of domestic producers looking to find a market for their wines here in the $30+ a bottle market. When you get there, and slightly above, you can get Rhône wines that deliver the goods so why go domestic? But in the under $10 a bottle market things are different. Here you find the tanker ship Shiraz from down-under and any number of other domestic choices. Usually they are serviceable but not very notable, with the folks at Columbia Crest probably being the standard bearer. A few others make some decent wines such as Don Sebastiani and Sons but nothing really gets close to wines costing over $25. Or so I thought before picking up this wine at Bottle Barn in Santa Rosa recently. Not only does it deliver the Syrah goods at a steal, it does so with the unforgiving acidity it should. Chono, Syrah Reserva, Elqui Valley, Chile 2008 ($9) – Inky dark purple-black in color with aromas of blackcurrant, blueberry, bacon, eucalyptus and green olive. Ripe black raspberry fruit flavors with kirsch and white pepper finishing with moderate tannins, good acidity and a nice mineral streak. Delicious and completely unexpected at less than $10 a bottle. My new “Tuesday-Thursday” wine if I can find it in Minnesota. Another ZAP has come and gone and now is the time to sit back and take a look at the notes made during both the Grand Tasting held Saturday, January 29 and the Flights seminar on Friday, January 28. These are the best wines I had the opportunity to taste but is just a snapshot of 85 wines I happened to select. Many of these are wineries I had never tasted but some are old standbys. And I didn’t make it to the main Ridge or Turley stands so who knows what great wines they were pouring. To keep things diverse, I have selected the best wine of the producer but when I encountered more I will mention them in my commentary. Some wines don’t yet have pricing information but I will call and see if I can fill this in next week. Steele Zinfandel, DuPratt Vineyard 2006 ($24) – This was my first taste of the well regarded DuPratt Vineyard, a small 80 year old patch of Zinfandel in Anderson Valleys’ Mendocino Ridge AVA. Plush blackberry and black raspberry finishing with nice acidity and supple tannins. An outstanding value in a more elegant style of Zin. Four Vines, Zinfandel, Dusi Vineyard 2008 ($34) – The folks at Four Vines certainly have some attitude but they make some of the best Zinfandels from the bottom to the top of their line. Near the top sits the distinctive Dusi Vineyard from Paso Robles. Bright black raspberry fruit with a nice earthiness on the long finish. I also thought their 2008 Biker and Martinelli bottlings were delicious. Ridge Zinfandel, Lytton Springs 2001 ($35-ish) – This is the vineyard that single-handedly got me deep into wine and it still speaks to me today. Tasted during the ‘Flights’ seminar along with their 2008 bottling, this wine exhibited the Claret character of an older Zin while still maintaining the blackberry, dark cherry and mineral notes the vineyard is known for. The 2008 Lytton Springs is also a delicious wine that I hope will taste as well as the 2001 is now showing in 2018. Bucklin Zinfandel, Old Hill Ranch 2007 ($34) – At 159 years old, Old Hill Ranch is the oldest vineyard in Sonoma and probably in California. A classic field blend of Zinfandel, Grenache, Alicante Bouschet, Petite Sirah and more than 30 other varieties, the vineyard produces just 1.5 tons per acre. As a result, the wine is rich and complex with blackberries and cassis finishing with cracked black pepper and firm tannins. The Ravenswood Old Hill Ranch 2007 tasted with this wine was nearly as good with perhaps a bit more boldness. Benessere Zinfandel, Black Glass Vineyard 2008 ($35) – Bright black cherry and raspberry fruit finishing with plush tannins. A delicious Napa Zin. Also tasted the 2007 vintage with similar notes. Robert Biale Zinfandel, Founding Farmers 2009 ($-) – The Biale table had barrel samples, and this wine from bottle, all from the 2009 vintage. From the wines tasted, this producers’ reputation for fine Zin is assured. Rich blackberry and white pepper finish long with silky tannins. No, I have not heard of this designation before and didn’t ask the price. Carlisle Zinfandel, Marinelli Road Vineyard 2009 ($-) – This winery is known for their single vineyard Zins but I haven’t seen one from the 125 year old Marinelli Road Vineyard before ZAP. Very aromatic and striking with blackberry, white pepper and cocoa. Adelaida Cellars Zinfandel, Michael’s Vineyard 2008 ($35) – Classic California Zin with brambles and black cherry finishing with silky tannins. Bedrock Zinfandel, Dolinsek Ranch 2009 ($-) – Super rich and concentrated brambles, blueberry and spices. The 2010 Monte Rosso barrel sample was similarly off the charts. Made by Morgan Twain-Peterson, son of Joel Peterson but he’s got his own thing going on with the field blends. Mazzocco Zinfandel, Pony Vineyard, Reserve 2008 ($50) – Holy crap; how could I have missed this producer until now? Perhaps it’s the small lots of single vineyard Zins that are not available to many outside of California for good reason. I tasted several vineyards and Pony was my favorite both in the regular (and sold out) release and this new-barrel lavished version. Black raspberry and blueberry fruit with cocoa and vanilla. I was also partial to 2008 Maple Vineyard. Good thing they have a boatload of other Zins on their website. Hendry Zinfandel, Block 28 2007 ($30) – This producer makes three bottlings from different parts of their property. But each time I’ve tasted them, the Block 28 Zin shines through with rich blackberry, blackcurrant and spice. This only slightly overshadowed the fine Blocks 7 & 22 2007 which is also delicious. Seghesio San Lorenzo 2008 ($60) – Made in very small quantities from a heritage vineyard, this wine was the highlight of the Mixed Blacks stand for me. Rich boysenberry and black raspberry fruit layered with spices finishing long with good acidity. Sadly this wine is already sold out to their wine club members. Ravenswood Icon 2008 ($70) – Another standout from the Mixed Blacks stand, this wine is only a quarter Zinfandel with Carignon and Petite Sirah comprising most of the blend along with about 20 other unnamed black grapes. The result is a bold and spicy mix of blackberry, black raspberry, blueberry and cracked black pepper. Proulx Dimples 2008 ($38) – The final Zinfandel blend in the roundup, this wine is made from Paso Robles fruit. The nearly 40% Zin is joined by equal parts Petite Sirah and Syrah making for an interesting mix. Jammy red and blue fruit with vanilla and black pepper finishing with plush tannins. Storrs Zinfandel, Rusty Ridge 2006 ($30) – Complex aromatics of black raspberry, smoke and tar announce this wine as something special. And the blackberry, black raspberry and plum flavors complete the delicious package with spice and pepper. Acorn Zinfandel, Alegria Vineyard 2008 ($35) – Big, rich and concentrated blackberry, raspberry and mineral flavors just balances the alcohol. Not sure if this will age well but it’s drinking very nicely at the moment. Brown Estate Zinfandel, Mickey’s Block 2009 ($55) – An old favorite delivers again with black raspberry, black cherry, white pepper and spices resolving with supple tannins. Yum. Chiarello Family Zinfandel, Felicia 2009 ($50) – Celebrity chef Michael Chiarello also knows a thing or two about wine. And while I usually favor the rich and expressive Giana bottling, I only had the chance to taste the bottle of Felicia in the Zin Zone. And this might be the best I’ve tasted from this vineyard with jammy boysenberry and blackberry fruit finishing with a nice touch of earthiness. D-Cubed Zinfandel, Howell Mt. 2007 ($37) – Another old Zin standby, the Howell Mt. from D-Cubed is one of my personal benchmarks for the variety and the AVA. Black cherry, raspberry and chaparral finish with moderate tannins and a satisfying mixture of spices. J. Rickards Zinfandel, Old Vine, 1908 Brignoli Vineyard 2008 ($28) – My final selection here was a recommendation from Alder Yarrow of Vinography who I ran into at the “Zin Zone” media room. This was among his producers, “flying below the radar,” and might be the best value of my roundup. Bold and earthy with classic blackberry fruit flavors finishing with black pepper and smooth tannins. 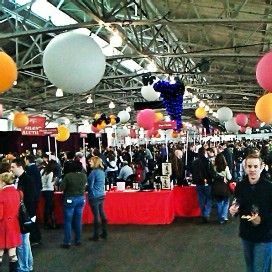 For expanded coverage of wines tasted at ZAP 2011, be sure to sign up for my newsletter on the right sidebar. The inaugural issue will be published next week. And watch the podcast feed, too. Disclosure: I received a media pass to all the ZAP events.